ZeusDraw requires Mac OS X 10.4 or higer and Shades requires Mac OS X 10.5 or higher. After a year of working with John Balestrieri of Tinrocket, LLC (developer of Percolator and Popsicolor) to research, design, code, and polish a new app, we are about to launch Waterlogue 1.0, a photo app inspired by Moleskine watercolor journals, urban sketching, art journals and en plein air painting. We wanted to come up with an easy and fast way for people to create images based on the kinds of aesthetic decisions an artist makes when he or she is painting. 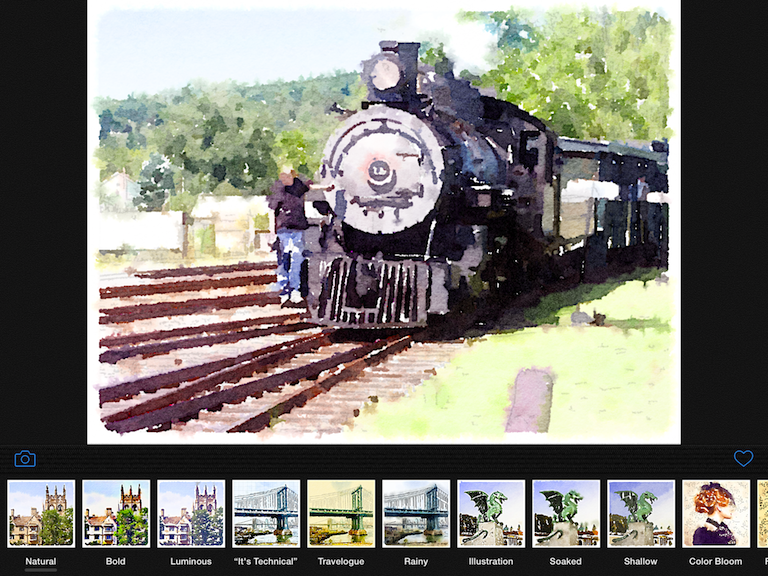 The technology we developed for Waterlogue transforms your photos into spontaneous, unique, and brilliant watercolor sketches that look like real paintings. Waterlogue distills your environment down to its essence — just the way an artist would — and turns even an on-the-fly snapshot into something luminous and sublime. We designed Waterlogue to create the most authentic and aesthetically true watercolor interpretations available, and we hope that as soon as you start using the app, you'll start seeing the world differently. Waterlogue works on the iPhone, iPad and iPod Touch. Visit the website and follow along on Facebook, Instagram, and Twitter.